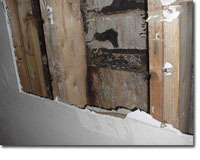 What is Mold? Molds are fungi. 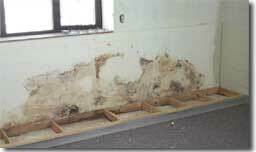 Molds grow throughout the natural and built environment. Tiny particles of mold are present in indoor and outdoor air. 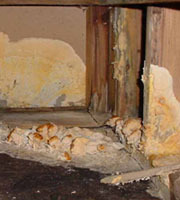 In nature, molds help break down dead materials and can be found growing on soil, foods, plant matter, and other items. Molds produce microscopic cells called "spores" which are very tiny and spread easily through the air. Live spores act like seeds, forming new mold growths (colonies) when they find the right conditions.